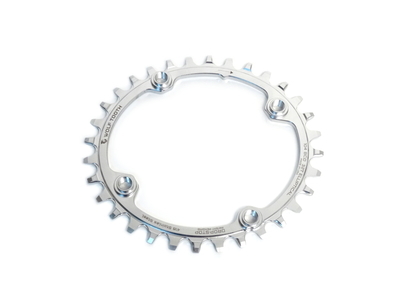 Chainring with 32 teeth and a bolt circle diameter of 104 mm, to drive it with common cranks with 104 mm bolt circle diameter in a single setup. 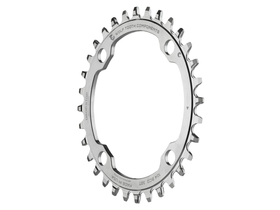 All Wolftooth chainrings are equipped with extra-shaped drop-stop teeth. 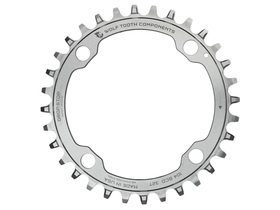 Due to the unique wide / narrow design of the teeth of a Wolftooth chain blade, these grip particularly well into the chain and thus prevent the jumping of the chain effectively in a 1x9, 1x10, 1x11 or 1x12 setup. 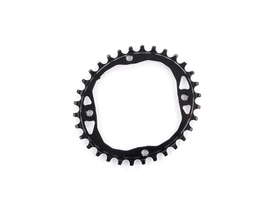 The chainrings work best with 10-speed , 11-speed or 12-speed chains. 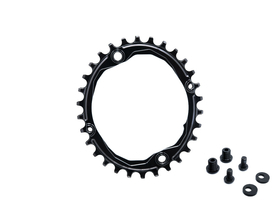 For best performance we recommend a shifter with increased cage tension (SRAM Type 2-3, Shimano Shadow +). 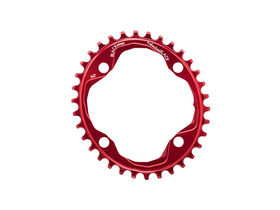 The ovalisation of the chain chain increases the performance by varying the drive train and optimizing the resistance. 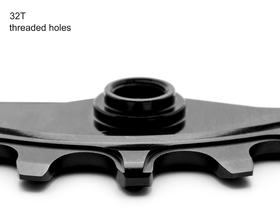 When walking with the legs, the natural strengths and weaknesses are brought into harmony. 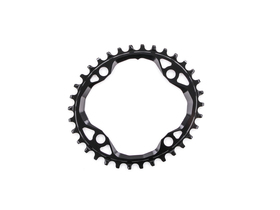 In this way a better utilization of the stronger muscle groups is achieved and in the weaker muscles a compensation in the working path (lower stroke) is created. 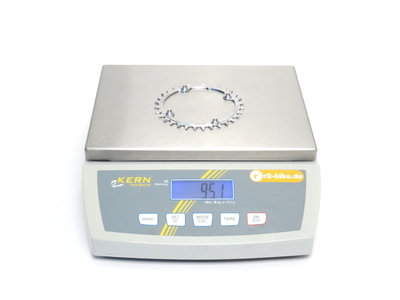 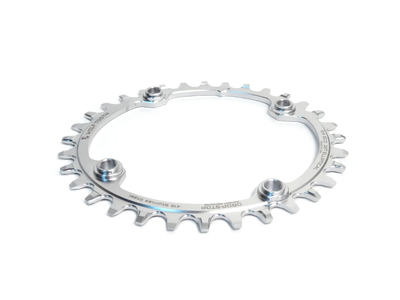 The chainring is made of stainless steel and is therefore extremely durable, stiff and robust. 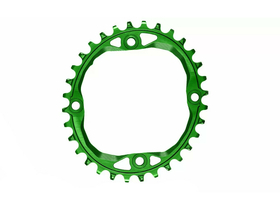 An average service life of 5 to 10 times longer than for aluminum chain blades can be expected. 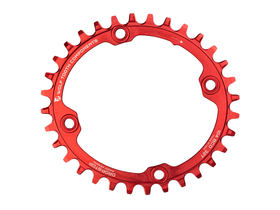 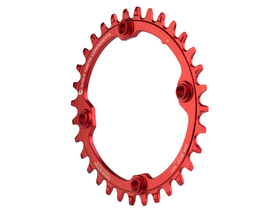 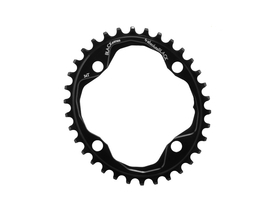 The 32 tooth chainring has a chain line of 48 mm and is provided with thread for the chainring bolts. 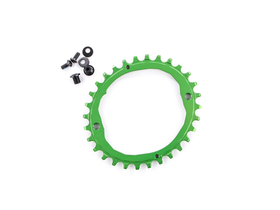 10 mm chainsaw bolts are required for assembly.